There’s a new trend in the hospitality industry: more and more often, travelers are choosing to stay at small private accommodations rather than standard chain hotels. This is because smaller facilities, also known as “boutique hotels”, boast individualized character and charm that cannot be found in the standard big-name chain. Boutique hotels, Inns and B&B’s are unique to their respective areas, and therefore better understand their locale, market, and can better cater to the needs of travelers staying in their Town. When debating what type of lodging to book for your travels, consider the amount of the privacy you would like. With smaller accommodations, guests have more privacy and the common areas are not as crowded. In addition to a “homey” atmosphere, boutique hotels have the luxury of differentiated design and décor in all their rooms. 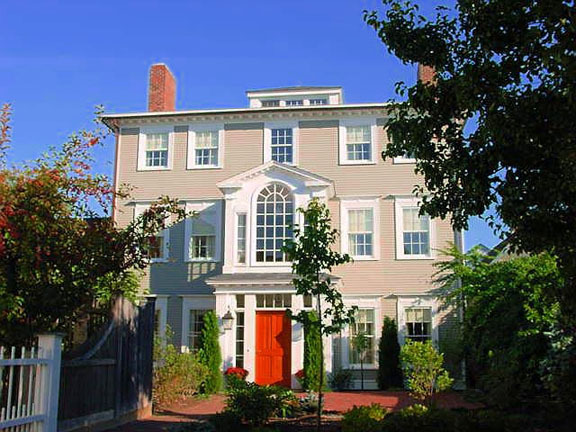 With numerous hotels near Newburyport, Ma to choose from, it’s also important to find one that can help you make the most of local activities, restaurants, and popular attractions. The Compass Rose Inn is dedicated to providing individual attention and assistance to each guest – the Innkeeper has knowledge of the Newburyport area and is always willing to make recommendations for dining, playing, and sight seeing. Independent Inns and B&B’s also have the flexibility to adapt to the ever-changing hospitality trends and can easily change in response to new guest needs unlike large hotel chains. Among the selection of hotels in Newburyport, MA to choose from, we invite you to stay at the beautiful, newly constructed federal state mansion located directly in historic downtown Newburyport. The Compass Rose Inn is dedicated to guests who want a leisurely vacation, couples on romantic getaways, and business travelers who want to feel at home. Our staff prides itself on making your visit to Newburyport pleasant and memorable!